As a Cycle Demonstration Town,Darlington cycle users can have a hard time.We have cycle lanes,cycle routes,a cycle hire scheme and obstacles.It is the obstacles that give us the hard time.One of these obstacles is a railway bridge on the Haughton Road.It is on an arterial cycle route connecting the town centre to the Eastern Transport Corridor.The railway bridge is also on the main route to Darlington College and the newly opened College and sees a lot of traffic,vehicular,pedestrian and cyclists. Approaching the bridge,on either side,is a cycle path.Clearly sign posted at the end/start of the cycle paths are “cyclists dismount” signs and “end of cycle route” signs.This does not prevent some cyclists using the footpaths over the bridge or using the road as shown in this short video clip. All members with Darlovelo bikes are encouraged to bring their bikes down to the Arts Centre on Saturday 3rd September for a maintenance check and the opportunity to try some maintenance themselves. 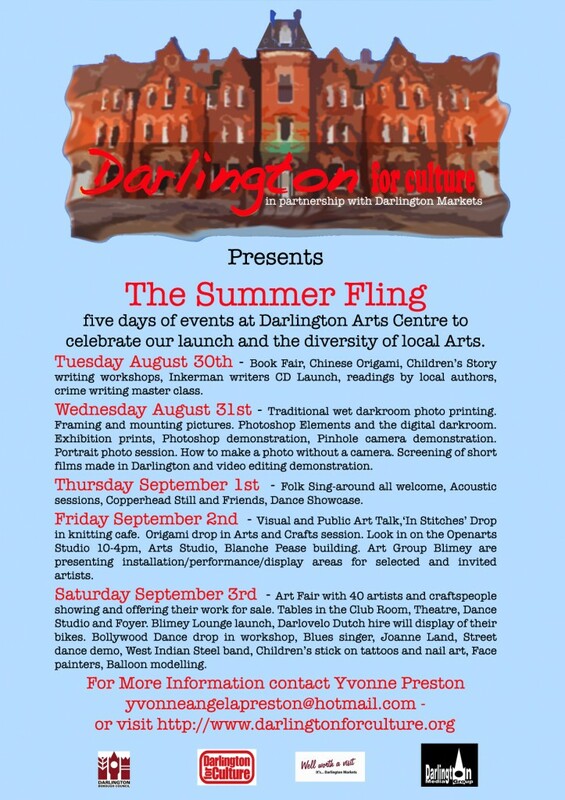 We will be there as part of the Darlington for Culture Arts Week with the kind help of Duncan from Kranks and DCC. Bikes will also be available to hire, so please come down if you want to hire a bike out for the Autumn Term. Darlovelo were present at the Healthy Lifestyles Roadshow at the Dolphin Centre. Bike Club were also there and it was a great opportunity to let more young people know about our scheme and the possibilities of cycling in Darlington. Some negative questions, like ‘Why would you want to hire a bike?’ from an adult, were compensated by the overwhelmingly more positive reception from most of the young people present. Sadly no hires were made. 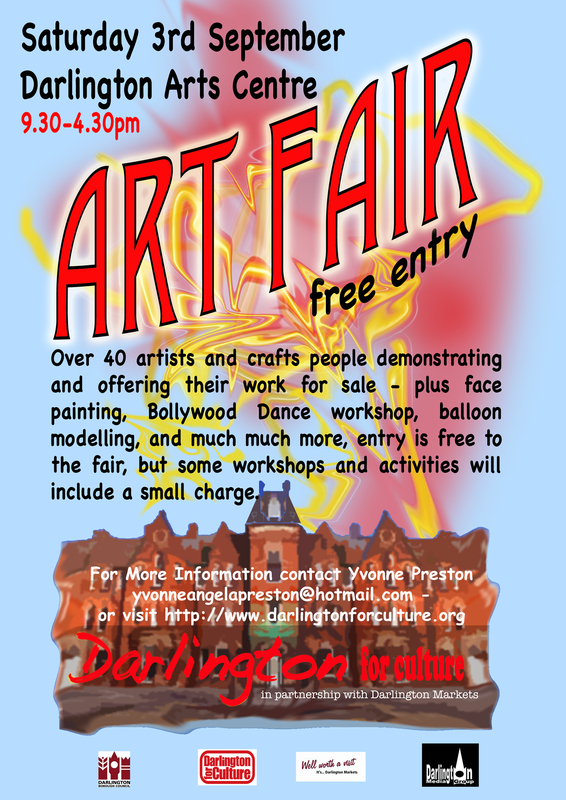 Come down and participate in the cultural activities which are happening in Darlington. Great time to also get to know more about the scheme and support Darlovelo.